The near-complete pig mtDNA genome sequence (15,997 bp) was determined from two domestic pigs (one Chinese Meishan and one Swedish Landrace) and two European wild boars. The sequences were analyzed together with a previously published sequence representing a Swedish domestic pig. The sequences formed three distinct clades, denoted A, E1, and E2, with considerable sequence divergence between them (0.8–1.2%). 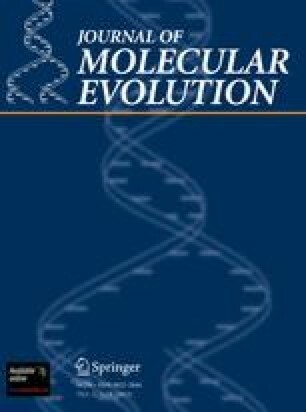 The results confirm our previous study (based on the sequence of the cytochrome B gene and the control region only) and provide compelling evidence that domestication of pigs must have occurred from both an Asian and a European subspecies of the wild boar. We estimated the time since the divergence of clade A (found in Chinese Meishan pigs) and E1 (found in European domestic pigs) at about 900,000 years before present, long before domestication about 9000 years ago. The pattern of nucleotide substitutions among the sequences was in good agreement with previous interspecific comparisons of mammalian mtDNA; the lowest substitution rates were observed at nonsynonymous sites in protein-coding genes, in the tRNA and rRNA genes, while the highest rates were observed at synonymous sites and in the control region. The presence of Asian clade A in some major European breeds (Large White and Landrace) most likely reflects the documented introgression of Asian germplasm into European stocks during the 18th and 19th centuries. The coexistence of such divergent mtDNA haplotypes for 100+ generations is expected to lead to the presence of recombinant haplotypes if paternal transmission and recombination occur at a low frequency. We found no evidence of such recombination events in the limited sample studied so far.